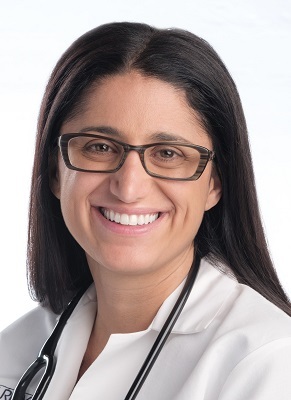 Five years ago, Flint pediatrician Dr. Mona Hanna-Attisha probably thought she had her hands plenty full as a teaching doctor, doing much to bring good health care to a city hard-hit by economic decline and neglect from several points of authority, and to live life as part of a strong extended family. When a change in delivery of Flint’s drinking water for political expediency’s sake (those in power’s sake), resulted in the presence of lead in Flint’s water, Dr. Hanna-Attisha took serious note, given the damage lead does especially to infants, but to all humans. She engaged others, and ultimately helped instigate the uncovering of this disaster, and to help rectify the situation, against considerable odds. 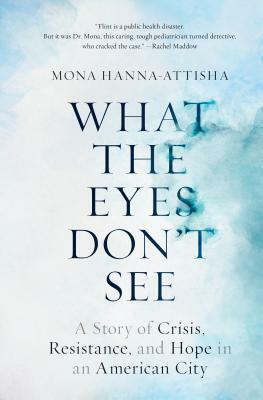 Almost as remarkable as what all she has done, is that she has now written a compelling, eloquent book, What the Eyes Don’t See: A Story of Crisis, Resistance, and Hope in an American City (One World). “Beautifully written, What the Eyes Don’t See captures all that is wrong and right in America at this moment. This child of Iraqi immigrants is a true American hero, who told truth to power and galvanized a nation. Everyone who cares about the past and the future of the United States has to read her amazing, heartwarming, and inspiring story.”—Gerald Markowitz. “The Iraqi American pediatrician who helped expose the Flint water crisis lays bare the bureaucratic bunk and flat-out injustice at the heart of the environmental disgrace—revealing, with the gripping intrigue of a Grisham thriller, ‘the story of a government poisoning its own citizens, and then lying about it.’”—O: The Oprah Magazine. Dr Mona Hanna-Attisha will appear in conversation with Nick Licata, who served five terms on Seattle's City Council. Free admission. Co-presented with THE SEATTLE PUBLIC LIBRARY and LANGSTON.